Polarzone has worked with professional athletes, athletic trainers, physical therapists and engineers to design and manufacture portable cryotherapy and hot spas. Already have a pool or spa and need a sanitation system? Custom designed retro-fit add-ons, or “skid packs”, featuring Triple Hurdle Sanitation System™ are available for systems currently in use such as in-ground pools and spas. 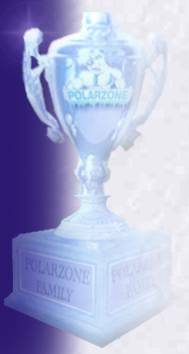 Contact Polarzone directly for information on this. or call our Toll Free Customer Service number at 1-877-765-2796. Is your outdoor event getting TOO HOT? COOL IT DOWN with Big Fogg cooling fans! 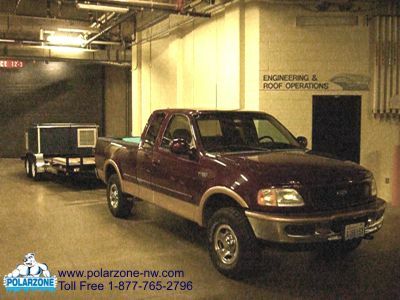 Polarzone is the Northwest representative for Big Fogg cooling fans. Download the specification sheet on the Elite model. Answering the needs of our customers, Polarzone can now provide Stainless Steel and Fiberglass pools and spas in nearly any configuration, size and application – hot, warm or cold. Permanent in-ground installation or above ground. Polarzone pools and Spas are proudly made in the USA! 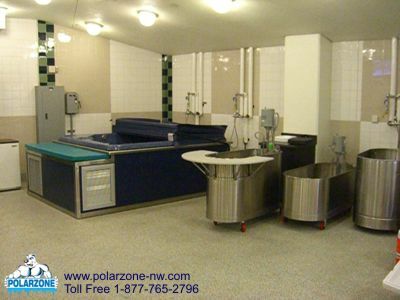 Polarzone installs an "Elite" model Cryotherapy Spa at Safeco Field in Seattle, Washington. 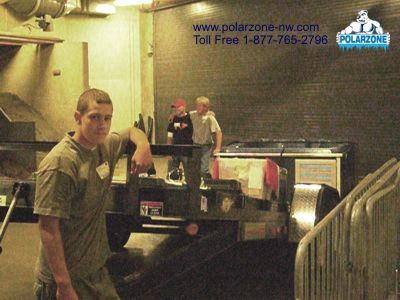 The Polarzone Team successfully completed installation, startup, & testing of the "Elite" model cryotherapy in the Mariners' Training Room at Safeco Field in September 2007. The unit is complete with Polarzones' exclusive, standard THSS sanitation system and looks outstanding in Mariner Team colors. • Portable. If you need to move it, you can. All spas work indoors as well as outdoors. • Does not need retrofitting to install. No need for expensive building remodel or equipment vaults. • Digital controls designed specifically for Polarzone spas. Optional Novar® monitoring, allows Polarzone to notify you if your spas needs service. • Built to last with only the highest quality components engineered to Polarzone's stringent standards. • With an industry-leading warranty backed by Polarzone's commitment to service, you will use these spas worry-free for many years. 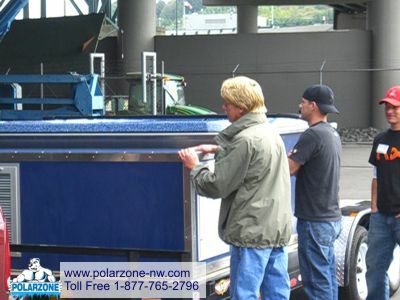 Polarzone™, The Polarzone Bear™, The Polarzone Portable Cryotherapy Spa, and The Triple Hurdle Sanitation System™ are Trademarks of Polarzone. © 2000- Polarzone NW LLC.